This Monday Morning Edition is sponsored by Lodge on the Lake in the Wilderness. Knysna’s Paddle Cruiser was stabilised after taking on water on Thursday night. Minister Marais to promote our oral history in Knysna. If you haven’t visited Prince Albert, maybe it’s time to consider it. Knysna, Fancourt and Pinnacle Point Golf Club Newsletters. Hostile migrants force their way through the Mexican border and head north. Trouble brewing in the Democratic Party. Assange will cooperate with Sweden but resist US warrant – interesting. May wants to resume talks with Labour. Ramaphosa will not resist reopening the Arms Deal investigation – one way of getting rid of the rabble. SABC’s financial position will lead to limited election coverage – who cares? Maimane accuses the ANC of their age-old election strategies. Robert McBride in front of the Zondo Commission again. ANC top 6 to discuss the election lists. Food prices soar and pull inflation with it. Zuckerberg’s gang of three go down – mmm – more evidence deletion? Trump hell-bent on winning the 5G race. Tiger wins a fifth Masters as the rest fade. Liverpool stay in the race. Mercedes make it another 1-2 in China. Blitzbokke pull of the comeback of the year in Singapore. The Gremlin is hosted by South Cape Net. 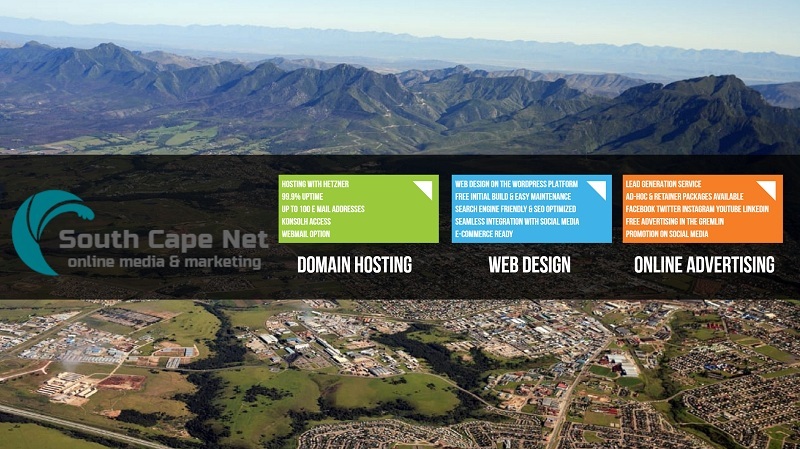 Get my Internet Advertising Package for R1000/year. Domain Registration/Transfer and Hosting. Twenty e mail addresses on your domain. Web Design & Maintenance. 330x330 pixel Advert in The Gremlin. 800x150 pixel advert in The Gremlin Morning Edition. Facebook setup and promotion. Regular Press Releases & Opinion Pieces in The Gremlin. Free Newsletter setup in phpList - as used by The Gremlin Morning Edition. Knysna’s Paddle Cruiser, the tourist restaurant vessel that was discovered partially capsized at its moorings on the banks of the Knysna Estuary in the early hours of 12 April, has been stabilised in position. On Monday, 15 April 2019, the Western Cape Minister of Cultural Affairs and Sport, Anroux Marais, will officially roll out the Oral History Initiative in Knysna. Every year, visitors (and new residents) flock to the charming Karoo village of Prince Albert. Nestled at the foot of the mighty Swartberg Pass, it is home to gorgeous Victorian architecture, artists of various mediums, fabulous restaurants and bars, yoga retreats and homegrown produce. Rep. Rashida Tlaib (D-Mich.) over the weekend accused Democratic Party leadership of exploiting Muslim lawmakers, only using them to bolster the party’s image of diversity, yet silencing them at the legislative drawing board. The ANC’s top six officials will meet on Monday to discuss a report compiled by the party’s integrity commission over its candidate lists, spokesperson Dakota Legoete says. Social media users around the world are reportedly facing trouble accessing Instagram, Whatsapp and Facebook apps. President Donald Trump said the US will cut regulations and free up spectrum for 5G technology amid tight competition with China and other nations. Jurgen Klopp’s side had surrendered pole position a few hours earlier when Manchester City won 3-1 at Crystal Palace. Mercedes pulled off a “risky” but well-choreographed double pit stop to help wrap up a one-two at the 1,000th Formula One grand prix on Sunday in Shanghai.